Netmail's technology empowers the legal department to access and assess the critical records more swiftly and effectively. The major challenge for organizations running eDiscovery is the cost of review and the biggest contributor to this cost is the challenge of locating relevant data. Searching through diverse data sources, both on-premise & in the cloud, and vast, unexplored volumes of corporate data to find relevant information can be difficult, cumbersome, and expensive. In fact, typical eDiscovery workflows mandate the unnecessary collection of redundant, obsolete, and trivial content (ROT), as well as irrelevant data, which increases costs significantly. This ensures that only relevant data is used in the discovery process—reducing review and collection timelines, and revealing key insights into live data. Netmail Smart Collection allows you to connect to all of your unstructured data locations—including but not limited to Windows File Share, O365, Exchange Online & On-Premises, SharePoint Online & On Premise, OneDrive, Box, Citrix ShareFile, and Egnyte—identify your data, and maintain an up-to-date index of your information before any data is ever collected. Benefit from immediate access to your data for fast eDiscovery investigations. Futhermore, through Netmail’s recent SMS/MMS integration, you can also collect SMS/MMS messages for compliance, regulatory, and eDiscovery response requirements. Search by email, phone number, device type, name, content, & more. With Netmail, you can perform in-place eDiscovery and find relevant content in any cloud or on-premise locations to deliver on Freedom of Information requests, ensure regulatory or governmental compliance, or in response to litigation. Perform interactive searches, search within searches, create multiple cases, reduce data sets, review, and collaborate. Preview the search results by reviewing relevant data. If you are satisfied with the search results, the content can be put on legal hold or exported. “To perform its responsibilities under such tasks as internal investigations and compliance reviews, the legal department needs access to records. But the number of relevant records is exploding, and the records are increasingly scattered across many different silos. Netmail's technology empowers the legal department to access and assess the critical records more swiftly and effectively,” says Attorney Benjamin Wright – a leading authority on privacy, data security law and forensic investigations, and an instructor at the SANS Institute. At Legaltech 2018, we'll be discussing how to bring eDiscovery in house with our new Smart Collection technology. We'll show you how easy it is to provide advanced in-place eDiscovery capabilities to inside counsel supported by custodians so everyone can do more with fewer resources. Stop by booth 501 to learn more about how to mitigate risk, maximize control, and significantly reduce eDiscovery costs with Netmail. 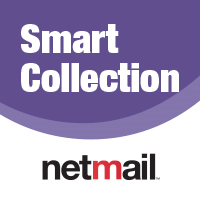 Netmail Smart Collection is now available for purchase from Netmail and its global partners. Manage, protect, monitor, and enforce standards and policies on electronic information from the time it is created until its ultimate disposal. A leader in Information Governance, Netmail offers complete data management, data security, and smart eDiscovery tools to mitigate risk, maximize control, and significantly reduce costs.